Planning for retirement is a daunting task. There are many things to consider when thinking about retirement. How much should I save? What should I invest in? Will I run out of money? Often times it can be so overwhelming that many people fail to even plan at all! Or possibly since they know they should be saving something for retirement but don’t know how much, they will just begin putting aside some random amount invested in some random mutual or index funds without really figuring out the right approach to be taking. These people are mostly just living with hope. Hope that they are putting away enough so that one day they will be able to quit their jobs. Hope that they are saving enough so that they won’t run out of money during their golden years. Certainly this is better than doing nothing, but there is definitely a better way to go about reaching all of your retirement dreams. Traditional retirement advice often tells people to save some random amount of their annual income (5 or 10%) and invest it in a select group of mutual funds or index funds. This advice is very general and not personalized like retirement planning should be. This will most likely lead the hopeful retiree to either not save enough and run out of money during retirement or to not save enough and realize they have to work longer than they had planned. Another often heard advice regarding retirement is the 4% rule. 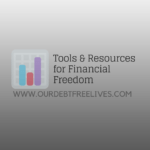 The 4% rule allows that a retiree can withdrawal 4% from their retirement savings (adjusted for inflation after the first year) each year to cover living expenses. The retiree will do this by pulling out any income earned from the investments and selling some investments to cover the difference. The idea is that a 4% withdrawal rate is safe enough that the investor should/possibly will have enough money to last until they pass away. Unfortunately, there is a few big problems with the 4% rule. The biggest problem is the fact that there is a possibility that you will run out of money while still living. I’m not sure about you but the last thing I want to worry about in retirement is whether or not I am going to outlast my money. A second problem is that the 4% rule requires investors to sell off investments at inopportune times. When the market is down and investments are undervalued is not a good time to be selling. Another problem with the 4% rule is that it requires you to draw down your assets. Each passing year your nest egg will get smaller and smaller as you use it to cover your expenses. At the end there will be little if anything left to pass on to your heirs or favorite charities. Fortunately, there is a better strategy for planning for retirement. Dividend growth investing is a great strategy to use when planning for retirement. Hopeful retirees should calculate the amount of income they believe they will need during their first years of retirement. You can do this by tracking your expenses and projecting out which expenses you will have during retirement and estimating how much money you will need to cover those expenses. Our retirement calculator uses a budget in today’s dollars and provides an inflation adjusted budget by year. Be sure to give yourself a buffer so that you don’t fall short when unexpected surprises pop up. Once you have a fairly good estimate of how much annual income you will need in your first couple years of retirement, you can calculate a goal for how much of a nest egg you should aim to accumulate. For example, let’s assume you estimate that you will need $45,000 in income during your first year of retirement. Now if we can put together a dividend growth portfolio that is yielding 3.75%, you will need to have a nest egg off $1.2 million (1,200,000/.0375=45,000). 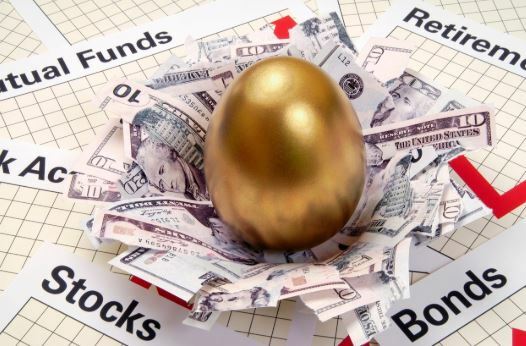 If your portfolio is yielding more, you will need a smaller nest egg. If it yields less, you will need a larger nest egg. This gives us a fairly reasonable goal of how big of a nest egg we want to try to accumulate in a dividend growth portfolio by the time we are ready to retire. So if we decide that we need $1.2 million for retirement, we can figure out exactly how much we should be saving/investing each year from here until we plan to retire to reach this goal. The investor will want to work towards this goal and if accomplished will have a solid foundation built for a great retirement. 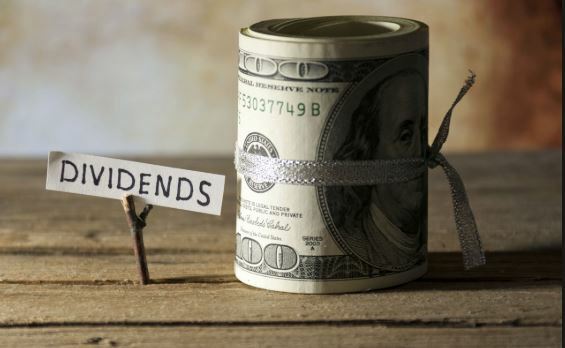 Dividend growth investors will be living off of the dividend income received from the companies they own. Therefore, they will not need to worry about running out of money because they are not selling their investments to offset expenses. Instead their portfolio is earning an income (growing each year at a rate faster than inflation) which will be able to cover all of their expenses. Since the dividend growth retiree is not forced to sell any of their investments, they won’t be selling at the wrong times. A dividend growth retiree won’t need to sell any of their investments unless one of their companies cuts or eliminates their dividend payments. In that situation the retiree will want to react by selling off those shares and finding an alternative dividend growth company to own in its place. Most of the time, dividend growth investors will be long term holders of their companies and won’t be selling. Since the dividend growth retiree does not need to sell off their nest egg to cover expenses, they will have a large amount of wealth in which they can pass on to their heirs or favorite charity organizations. You’ve worked hard to accumulate that nest egg, do you really want to watch it all dwindle away and have nothing to leave behind when you pass? A dividend growth retirement plan can be a great investment strategy when it comes to securing your financial future. When it comes to investing, we want to look for companies that are consistently increasing their earnings per share (EPS). An upward trend in the EPS leads to more consistent results for the shareholders. A down trending EPS or sporadic EPS will usually lead to disappointing results in your investment. When I am looking for solid performing companies that would be good candidates for my dividend growth stock portfolio, one of the first things I always look at is the EPS trend. The next thing you want to determine if the EPS are rising year after year is how the company is achieving these results. When it comes to earnings per share, there are generally only 2 ways that a company can increase them. Companies that are annually increasing their net income are going to be successful. Typically, along with an increased net income will come an increased EPS. The only reason EPS would not increase while net income increases is if the company is diluting the outstanding shares by issuing new shares. As an investor we want to stay away from these situations. We prefer the situations where an increase in net income directly result in an increase in EPS. Net income is simply Sales or Revenues of a company minus that companies Expenses. The only ways a company can increase their net income is by either increasing sales or by decreasing their expenses. As an investor I like seeing companies who can do both. Keeping expenses within reason means management isn’t wasteful with my capital. Increasing sales means management is doing a good job bringing in revenues to grow the company. So while both increasing sales and decreasing expenses are a good thing, as an investor I prefer to see the increasing sales. This is because I know customers want whatever it is my company has to offer. The customers are willing to spend their money on the product or services my company offers. Sales increase net income and there is usually no ceiling to how many sales a company can have. If there are customers willing to buy from you, you can make more and more sales. Expenses can be lowered and this will increase our net income. But expenses can only be lowered so much. So while there is a floor to how low a company can make their expenses, there is no ceiling to how high a company’s sales revenue can go. This is why I prefer to see the increasing sales. When it comes to an increasing EPS trend, I like to see that it is being driven by increasing net income which is also being driven by increasing sales revenues. Companies will also see increasing EPS if they are doing share buybacks. Sometimes management will decide to use some of their profits to purchase some of their outstanding shares off the market and retire them. You will notice a downward trend from year to year in the number of outstanding shares. This is a good thing. With fewer shares outstanding, each remaining share is now worth a greater proportion of the company. If a company is keeping their net income even through the years but decreasing the number of shares outstanding I will still see an increase in my EPS. When I am evaluating companies I like to check the number of shares outstanding to make sure it is either staying flat or decreasing. The last thing I want to see is increasing shares outstanding because I then own a smaller portion of the company. The bottom line is I like to see increasing EPS. A company can do that by increasing net income, decreasing the shares outstanding or possibly both methods. It is important to analyze the company to determine how they are increasing their EPS. 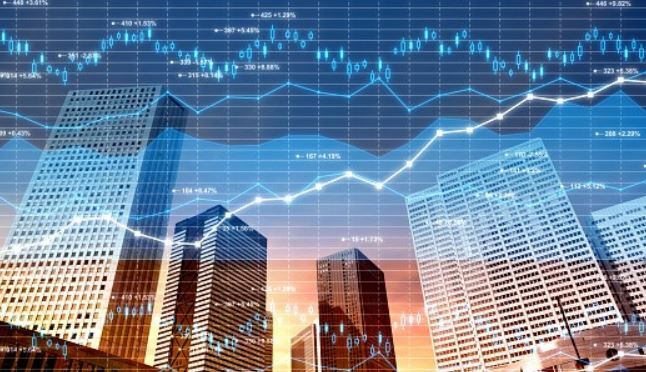 One thing you can be sure of is that if you buy in at the right price and a company is consistently growing their earnings per share, you will most likely enjoy a nice performance from your investment. Every time I make a new investment I am looking to improve my overall portfolio. There are 3 key measures that I look at in which a dividend growth stock purchase may improve my investment portfolio. A new buy may improve my portfolio by increasing overall diversification, increasing my current dividend yield or by increasing my dividend growth rate. Every single time I make an investment I look to improve the portfolio by at least one of these metrics. If a purchase helps me in more than one metric, then it is even better. Diversification involves reducing risk by investing in a variety of assets. For your overall financial picture this will involve investing in different assets such as stocks, bonds and real estate. For dividend growth stock investing, diversification involves investing in companies from different industries. You may want to invest in companies from the oil industry, retail industry or restaurant industry. There are many industries available to invest in which will aide us in our attempt to diversify our dividend growth stock portfolio. When I look to make an investment I always look to see what industry the company operates in. Then I look over my portfolio to determine if I already have investments in that particular industry. If I do, how much of my portfolio does that industry make up. I don’t want to have all my stock investments be from one or two particular industries. For me the more industries I can invest in the more diverse my portfolio is. With higher diversification my portfolio will have less risk. This is because not all industries will be affected the same way by different market conditions. If the oil industry is really suffering, my oil stocks may be going down. However, my stocks from other industries may still be doing alright or even wonderful. Another way I may look to improve my portfolio is by investing in stocks that will help increase my portfolio dividend yield. One of the goals in a dividend growth investing strategy involves bringing in dividend income. If I can increase my overall portfolio dividend yield, then I am increasing the income that I am being paid by my companies. For example, if I have a portfolio of dividend growth stocks that is worth $10,000 and I expect to receive about $350 in dividend income this year then my portfolio dividend yield is 3.5% (350 divided by 10,000). Now when I am looking at new investments I know that if I invest in any stock currently yielding higher than 3.5% it will raise my overall portfolio yield. If I decide to invest in a company that is currently yielding 5% then I will increase my portfolio yield. Let’s say I invest $1,000 in a company yielding 5%. I will expect this company to pay me $50 in dividend income this year. My new portfolio dividend yield will increase to 3.64% (400 income dividend by 11,000 portfolio). This is good because on the whole my portfolio is earning me more income for each dollar invested. Another way to improve your overall portfolio with a new investment is by increasing the dividend growth rate of the portfolio. The dividend growth rate is the rate that a company increases their dividend payment from one year to the next. The higher the dividend growth rate, the faster my dividend income will increase. If my entire portfolio is invested in companies that don’t increase their dividend at a high rate each year, then I may improve the portfolio by investing in a company that has been growing their dividend quickly over the past few years. This will increase my total dividend growth rate and help me increase my income quicker. For example, if the companies in my portfolio are averaging 8% dividend increases annually, I may look for a company that has been increasing their dividend faster recently. If I then invest in a company that has been averaging 15% dividend increases the past few years, I will expect my overall portfolio dividend income growth rate to increase slightly. A higher portfolio dividend growth rate means that my income will be growing faster. I always want to make sure my portfolio dividend growth rate is higher than the rate of inflation. Ideally I look for a portfolio dividend growth rate of at least 7-8%. With every purchase I look to improve my portfolio in one of these three ways. The more ways I can improve my portfolio the better. Dividend growth stock investing involves a balance between diversification, current dividend yield and dividend growth rate. We want to make sure we have a good mix of companies to help decrease overall risk of the portfolio, a good current yield so that we are getting an acceptable income and a good dividend growth rate so we know that income is increasing. Getting the perfect balance for your portfolio is more of an art then a science. By trying to improve at least one area with every purchase, you will be sure to keep your investment portfolio heading in the right direction. When you decide that you want to become an investor, one of the first things you must do is map out your goals. 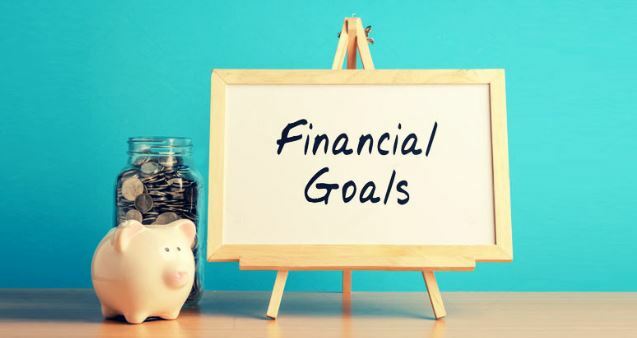 Figuring out what goals you want to achieve with your investments will help you determine what type of investing you should do and what strategy you may want to use. Your goal in investing is going to be your mission statement. The goals you set will help be a guideline for your investment decisions that you make in the future. When setting your goals, make sure not to be vague. Most people that are investing are obviously out to make money. The question is why are you trying to make money through investing. Maybe you want to invest in order to gain a higher return on your money so that you may be able to afford something in the future. Possibly you are investing so that you can build up a passive income from rents, interest and dividends to spend now or/and in the future. Whatever you decide, be sure to write out a clear goal statement and focus on it frequently as you advance through your investing career. Modify your goal if and when things change. Remember that it is OK if what was once your goal has now changed and you find yourself trying to achieve something different. Just make sure to formulate your investing plan with your goals in mind. 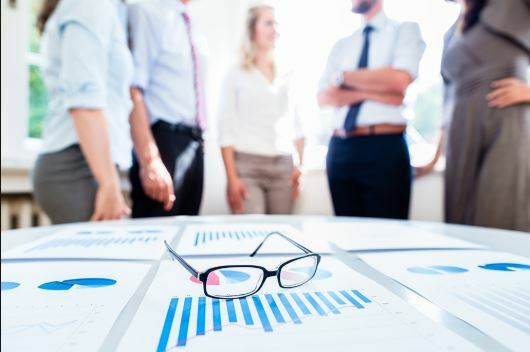 There are a few different goals you may be interested in pursuing where a dividend growth stock investing strategy is a suitable approach. Rather then spend all your money from your paycheck, you may be interested in investing some money each month in dividend paying stocks. This will allow you to build up an investment portfolio over time and provide some supplemental income if you decide to take the dividends in cash to spend as the companies pay out. You may decide that you don’t need more of a current income to meet your current needs and wants. However, you don’t plan on working forever and someday that paycheck will quit coming in if you quit working. Building a portfolio of dividend growth stocks is a good way to build an income for the future. You can grow your portfolio quicker by reinvesting your current dividends and eventually the annual dividend income may be enough to cover your living expenses. At this time you can afford to not have to work for a paycheck and just live off of your dividend income. This is a good strategy for retirement. When you are looking for a safe investment to keep your money safe most people will thing of bonds. While bonds will help keep your principal safe, they don’t offer much in the way of investment returns. 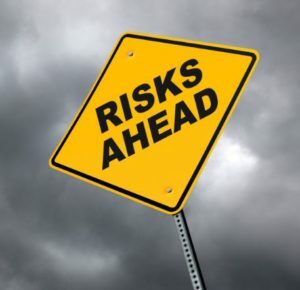 Another option if you are willing to take on a little more risk is dividend paying stocks. Stocks are definitely a riskier asset class then bonds. However, dividend paying stocks have typically been less volatile compared to other stocks. Dividend paying stocks offer a decent income component and if you select your investments wisely will give you better preservation of your capital then non dividend paying stocks. Compared to bonds, dividend paying stocks may be a little more risky in that you can lose some or all of your investment. However they also typically offer greater returns then you would receive by investing in bonds. There have been studies that have shown that dividend paying stocks tend to outperform over time non dividend paying stocks. Also companies that annually increase their dividend payments tend to outperform companies that do not increase their dividend payments. So over the long run, we can hope that we will be getting the best return in the market from our dividend paying stocks of solid well known companies. You will probably be less likely to lose your money and earn a decent return from a Coca Cola type company compared to a company that you have never heard of and don’t understand how they make money. Dividend growth investors pick solid stable companies that have a history of increasing earnings and paying out increasing dividends. These companies perform well over the long run. Personally, I am investing in dividend growth stocks for all the reasons I’ve listed above. I believe that dividend growth stocks will over time give me a great return with less risk to my investing portfolio. I understand that dividend growth stocks will pay me out an income this year that I can use for expenses if needed. My main goal when investing in dividend growth stocks is to build up a portfolio that will provide me with a sizable income later in life. I am 30 years old and have at least another 30 years of working for a paycheck. However, I’d like to build up a portfolio of dividend stocks that eventually will pay me enough income that I can retire if I want. I will be able to use the income from my portfolio to pay my expenses without ever having to sell any of my stock assets and decrease my portfolio. So for my goal I have a long journey ahead of me. Short term I measure my success by tracking my dividend income on a monthly and annual basis. I expect to see these income numbers rising as time passes and if this is happening I will know I am on the right track towards achieving my investing goals. Before you get started investing, make sure to take a moment and think about what you are really trying to achieve. Figure out your goals and use them as a guide map for your investing decisions in the future.